Home Blog Spending Christmas In Rehab? Yes! 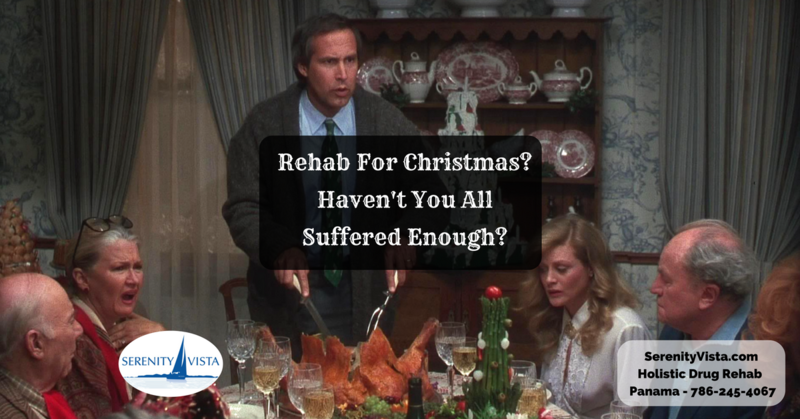 It May Be Your Best Idea Yet to Spend Christmas in Rehab! We wish you a Merry Christmas. Bah Humbug! That’s a sentiment expressed by many people at this time of year. The pressures can be unbearable for such a joyous time, even more so for addicts and alcoholics, even if they are sober in recovery. Let’s forget about the stresses of buying gifts and how much to spend and cooking and baking and finding the time to do it all. Instead, look deeper into the issues of why Christmas is such a difficult time for the active addict or alcoholic, or the clean and sober addict in recovery. Often addiction has its roots in the family. Whether your family is ‘picture perfect’, or there is some past abuse, trauma, or conflict, Christmas means gathering with these same people. Unresolved conflicts and deeply buried emotions can drive the alcoholic or addict to escape with their drink or drug of choice. You may not even think you have a drinking problem. Ask yourself some questions here, especially if someone has expressed concern for you. You see, others can usually see a problem before we can recognize it in ourselves. “I only drink a few times a year,” you say. Maybe one of those times is at Christmas. If you’ve had family members talk to you about an upcoming Christmas party or Christmas day dinner about your behavior, it’s a good bet they already have plans in place to deal with you. Yes, they may actually have an action plan in case your drug or alcohol use gets out of hand. The may have already talked with you about rehab. But you’ll have none of that. So, they prepare. They love you. They want the best for you. They would probably be happy for you to spend Christmas in rehab. Even if you are in recovery, you’re not immune to the stresses of Christmas. Those relapse triggers abound this time of year. Be on guard and be ready for them. Rehab at Christmas is a gift to yourself and those that love you. It’s the time for you to learn to heal those old wounds. To learn the skills to live a sober life so that next Christmas can truly be a joyous time for you and your family. At Serenity Vista, our focus is on you. Your recovery, renewal, and transformation is our mission. And don’t worry about spending Christmas in a stuffy rehab facility. We’ve got wonderful things here in Panama just waiting for you! If getting help for alcohol or other drug addiction has been a consideration, this Christmas, give your loved ones the most amazing gift of all, a gift of life itself: you going away to get help. Go abroad to become clean, sober, healthy, and happy. To return home with bright eyes filled with hope and renewal of life! And in the process, your family will be at peace over Christmas, knowing you are in a safe place getting good help. There is no better gift you could give your loved ones! 12 step, addiction, addiction treatment, addiction treatment center, affordable rehab, alcohol treatment, alcohol treatment centers, alcohol treatment programs, Alcoholism Treatment, best alcohol treatment, best drug rehab, christmas in rehab, drinking problem, drug addiction, drug addiction treatment, drug and alcohol treatment centers, drug of choice, drug rehab, drug rehab centers, drug treatment centers, drugs and alcohol, holistic rehab, international, international rehab, luxury rehab, private pay, private rehab, rehab, rehab clinics, rehabilitation, serenity vista, sobriety, spiritual retreat, spirituality. Bookmark.